It is no news that one of the best ways to set up some extra monthly income is to buy and sell things to a ready market. This process can simply be defined as getting the products at a reasonable price and selling them at a profitable margin to a willing market. Getting a ready market for the products, to mention but a few. One of the commodities that are always in high demand are shoes. No matter the genre you go into, there is a very high chance of getting a market for it. To get the best out of this niche, it is advisable that you delve into the sneaker market. The bigger advantage here is that you will almost always, if not always, sell out when you are pushing the latest sneakers in town. If you roll in the circle of sneakerheads and get in on the kind of sneakers they are looking for, you will be able to rake in thousands on only one sneaker – and it doesn’t matter if it is used! It is common knowledge that people love old things. There’s a feeling of nostalgia that comes with these old items. It is even better for you when these items have become something of a collector’s fancy. This will help you drive up the price to extents that you might not have thought attainable. These might not be worth a lot on their own, but you will be able to flip them for a great price if you have some fitting skills. Many people are in the market for jukeboxes that have Bluetooth speaker systems attached to them. Of course, this does not come with the jukebox out of the box – no pun intended. Get it done and slap a premium price on your new invention. The average person might see retro games as old pieces of hardware, but they are worth more than that. In fact, you can get a retro game (something on the lines of Atari, NES, SNES, etc.) for as low as $1 and sell it on the market for about $50. When you get your hands on a collector item, you are almost too sure that it will sell well. That is the same case here. You would have to go to a flea market and search for the toys which are collectible. Legos and vintage toys from the 80s era are in this same category. If you can also get toys that were made to build the franchise of popular movies from the old-time era (such as Star Wars), that would be a great pick for you. This is a great choice for those who do not like to take a lot of risks. One of the good things about this option is that you can use online means (such as the Bookscouter website) to see what buyers are currently paying for that book. The risk is even more mitigated in the fact that you can list a lot of books in your local bookstore for sale without physically holding the stock of any. Whenever a buyer signifies interest in any of the books, you just get it from the store and ship it to them right away. See? Minimal to no risk here. Click here to see 100s of ways to literally make money from anywhere in the world. Electronics might be evolving with the introduction of every new thing in science, but there are a lot of vintage ones out there that could make a huge profit. The best place to get these would be on yard sales and websites that sell collectible items. What you would want to look out for are the record players, Walkman series, film cameras and so much more. Depending on who you are selling them to and how nostalgic they are feeling, you get to make up to 10x – if not more – of the cost price right off the bat. There was a time when the idea of sleepwear was taken literally – a piece of clothing that you could sleep in. Today, that definition has been expanded to a wider range of products which you can just lounge around in all day long. Sounds like something you would be able to flip? Now is the best time to buy in wholesale for a lower price and sell individually for a good margin. Authentic pieces from the 50s and 60s are usually hot cakes on the market. They bring that feeling of nostalgia back, and the fact that they are not so much in circulation makes it all the better for you. Lines of products in the dinnerware, coffee tables, chairs and lamps niche are all going to sell well here. Get the item from a reliable source, verify the age and give it a little bit of cleaning. That will make your item ready for the markets in no time. Phones are made every year. There are a ton of manufacturers out there and they all release different devices in different categories. This might make them a little harder to track for you, but that is good for business. You will want to focus on the brands which are selling in your area. The top selling options in the Americas and Europe are Apple and Samsung. OnePlus, Huawei and HTC are not far behind. Look around to see what people are holding and form your basis from there. Afterwards, you have a slew of options to pick from. You can decide to sell screen protectors, phone casings, chargers, add-ons, dongles, etc. The list here is almost endless. Make money from the comfort of your couch this 2019. Try out these legit ways and thank me later. This takes a lot more investment than most other options on this list, but so is the profit rewarding. Spending time with friends and family members outdoors is a quality thing for most people. Beyond spending time, though, people want to do it in style. It is recommended that you offer a wide range of products in this niche – from the retro style to modern options. Showcase it to the right people and you can close a good sale every single time. If you are willing to tie up your money in an investment for a while – and let out some space in your house while at it – choice clothes are a great piece of item to buy low and sell high. The best place to look for these would be in the stack of clothes that have been donated to charity. Now, I should probably let you know that this won’t be a walk in the park. You would have to actively sift through all the ugly and dirty clothes in the bunch to strike the resale gold. Once in a while, you will find some designer labels, a touch of vintage somewhere, new items that still have the tags on them (yes, that happens) and other materials that could fit into your concept of choice item. You can either get these new and cheap from the companies that make them, or go for yard sales and snag used items up. No matter your sources, though, they make a good buck on the market. Metal rakes, spades, hoes and other basic lawn tools will sit well in neighborhoods where a lot of fieldwork is done. You can sell them to friends who are maintaining a lawn too – and some of them will even sell in snowy times. Due to the commonness of ties, I advise going for the high-end niche. The market for ties might be a little saturated, but you will find out that those selling high end ties are not that much. This pretty much eliminates stiff competition from around you and gives you the freedom to mark up your prices for an elite market. There is a reason why Mary Kay became one of the biggest brands in the world. People like to look their best, and they will spend almost anything to get there. Barring that first reference, beauty products are not limited to the line of makeup accessories. In fact, they are just a cog in the wheel – the size of which doesn’t matter at this stage. In this niche, you can decide to sell soaps and creams that remove blemishes, offer a better skin tone, improves tan, clears up certain skin conditions and so much more. Depending on your location, you can sell beauty products to address common local issues for a good profit. Always ensure anything you promote has been extensively tested and approved by the appropriate agencies. Those buying beauty products tend to want results, but they don’t want those results at the risk of ruining their skins and bodies. If you can make good on these fronts, you will tun a really good profit. This is one set of merchandise that never goes out of season. If you don’t believe me, tell me the last time a new version of Scrabble was invented, or when last you heard that the Monopoly game was improved. As soon as these games are designed and made, they usually hold that template for life. That is why you can never make a mistake on stocking them up for sale. No one might tell you this, but jewelry is one of the easiest things to sell online. The product is in high demand, and you can usually get a good price for it. That being said, homemade jewelry is one of the items you want to invest in. The reason for that is not far-fetched. Given the fact that they are usually very unique and in small supply, they make for the ultimate exclusive experience that many people want. You can find someone that makes pieces of jewelry locally in your area and make plans to buy from them in bulk. You can even give your own designs and have those made. Buy them for low prices and list them online – as well as advertising to friends. In a little time, you could turn a good fortune from your exclusive supply. Is there a bicycle culture in your neighborhood? Do you know somewhere that has a bicycle culture which you can feed? Do you have access to a lot of people you can buy used bicycles from? Then you re good to go. Make good repairs on the bicycles and make sure they are ready to go. You will find out that a lot of good bicycles are in good conditions and were just sold for an upgrade. You can even take advantage of this to manage a bicycle trade-in business on top of the conventional buying and selling of the items. Get up to 12.4% consistent yearly returns when you invest in real estate with Fundrise. Click here to know more. You might have found out that the car section on eBay allows you sell actual automobiles, but how about car parts? The average car user might not need to buy another car in two years, but they would be getting quite a number of parts in that time. You could work with your local mechanic to know what car parts are in demand and stock up on them. In addition to selling online, you could quickly become their go-to person when next they needed parts for some repairs on a car that got brought in. Almost everywhere you turn, there is someone offering you the next best Rolex for a steal. That can make this market competitive for those who don’t know how best to get in. But then, what about specialty watches? They are a small sub-niche that make all the difference. They satisfy the needs of people for exclusive wears and things, and they don’t cost too much either. Under this category, consider the wooden watch designs, minimalist watches, those powered by other sources besides conventional batteries – and so much more. The better the design, the better your chances of selling it. The better the special functions too, the lower your risks when you invest in them. 27 Tricks to get the best out of your real estate investments. It works for beginners too! Considering the sheer number of Legos that are sold and shipped daily, it is somewhat baffling to see that not many ecommerce stores and suppliers are in this niche yet. They have even gotten to a stage where they don’t need too much of PR to get them selling. Almost everyone knows the game – why not put a selling touch on it and watch buyers fall for your blocks? Besides being one of the best things to buy and resell for profit, arts also represent a slot on the list of best things to buy and resell online. Afterall, that is where you would be able to target most of your elite buyers. You might not make tens of millions of dollars like those fancy auction houses, but you will make a good profit from thus one too. It goes without saying that you would need to have an eye for good art to make this work. If you would be going into this for long, you could even hold some really valuable pieces for the long term and sell for an appreciable profit afterwards. If you are conversant with lawn furniture, you will agree with me that the modern copies are far from what they used to be. Even though the modern options have a conventional feel to them, they are neither as stylish nor classy as the old ones. Due to the high demand for classic aluminum, iron and steel, you will be able to get good prices on these units. Note that you might not always get lawn furniture in sets. When you come across singles, don’t readily wave them off. Someone might be looking for one piece to spice up their modern lawn furniture collection. Boots – no matter what form they come in – are yet another item which you can buy low and sell high. Be it hiking boots, snow boots, riding boots, motorcycle boots or any-other-kind-there-are-of boots, you will make a good profit off them. Before you put your money on some boots, though, it would be great to bend their soles. Look for signs of dry rot after doing this. Only go for those that don’t have the dry rot. There was a time when ketogenic products were just a form of diet. Today, they are the way of life for many people. That means one important thing: you get repeat clients. Identify great keto dietary options on the market and invest in them. Market them around and get a couple of clients interested. Start with them and set up a billing cycle. You will always know how much to expect every month, all other things being equal. The blessing here is that you don’t always have to go get new clients since the old ones will want to keep to the regimen. Of course, that doesn’t mean you shouldn’t seek out new clients. What’s stopping you from making tens of thousands if you are already making thousands, right? Over the last couple of years, bow ties have picked up momentum – especially in the men’s fashion world. They have become a fashion statement for many and never really go it of style. Their case is further helped in the fact that, like ties, they can be made with a lot of prints and designs on them. Be it vintage, classy or contemporary, there is a high chance someone is just waiting to see your bow tie collection and pick from it. Again, this works best if you can get a local supplier to make them for you. Ensure the candles you buy come in different shapes and colors. Take that a notch further by making sure they have different scents too. It wouldn’t hurt to package your candles in special containers like jars, teacups, shells and other creative containers you might have. People love stuff like that. The candles might not sell for a mouth-watering sum, but the costs add up over time. Trends are always changing – so much that they allow you push merchandise in this niche better. This easily makes them one of the best things to buy and resell for profit, both online and offline. Curtains are lightweight and very cost-effective when shipping. Combine that with the fact that curtains are being sold in bulk – since the buyer will want to achieve a uniform feel throughout the home – and we have a winner here. When I say papers, know that I mean a lot of things. One thing that is common to all of them, though, is that they have to be vintage. That said, paper, in this context, refers to the likes of maps, magazines, menus, newspapers, etc. People like to remember what it felt like to eat at an old restaurant or tour the city without the use of Google Maps. These make great collectibles, and older items (in great shape) will attract you more handsome fees. Cancer awareness programs have taken over so much, many people now know how much smoking dangerously impacts their health. That being said, people still like to get a good smoke in once in a while. You can cash out on presenting them the safer alternative to burning tobacco/ weed/ other products they are smoking – the e-cigarettes. You can take your market up a notch by selling additional accessories such as vaping juice, e-cig cleaners, etc. Roofstock allows you buy an investment property with as low as a 20% down payment. Check them out for yourself and start investing for serious profits today. All thanks to technology and the ability to connect a lot of devices via Bluetooth, the Bluetooth speakers are selling like hot cakes. They are used for different activities ranging from gaming, television and as a computer accessory to playing music from your phone. You will get a better profit in multi-functional Bluetooth speakers, allowing the use of a memory stick, flash drive and connections via AUX. Some will even offer radio services. In the quest of people to make everything special, you can make a huge profit by offering to make their dining ware even more interesting. Anything and everything from cups, glasses, dishes, pots – what have you – works here. Look for the dining ware with a good design and purchase the sets. It would even make sense if you can commission a local painter to tell a story (with pictures) on the sets and buy from them to resell online. Make sure your products are exclusive and can’t be found anywhere else if you want to charge a higher premium. In the ever-changing world of tech, there’s no shortage of computer accessories to sell. Almost everyone has a computer today, and there is no limit to the accessories they use. There are keyboards, mouse, computer case and stands to choose form. You can even sell stickers and other peripherals. To ensure connectivity to other devices, dongles and additional extensions for the computer make for a great market too. The good thing about them is that they are self-explanatory and provide a good value for their money. These make your job of selling the computer accessories easier than normal. Chess is one of the games that has gone digital these days. However, that does not mean people still don’t relish the idea of moving the pieces around by hand. To make things fancier, opt for an electronic chess set from the likes for DGT, Excalibur and Novag. 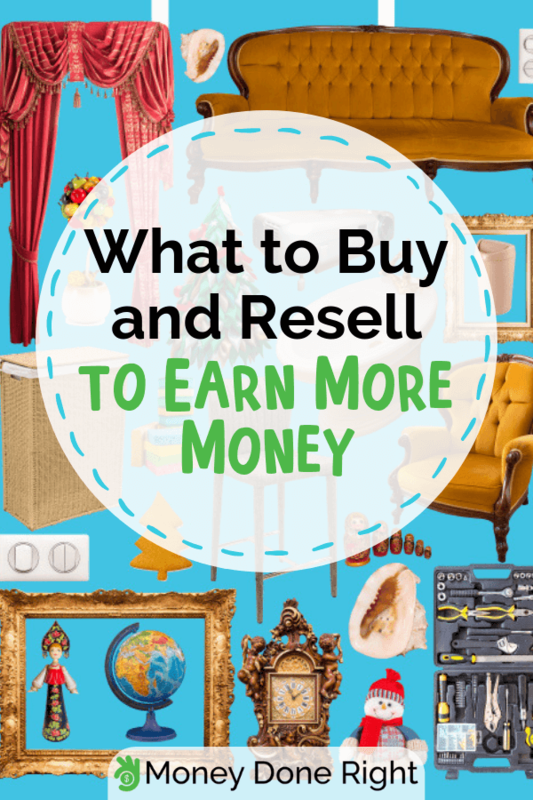 Make sure the pieces are complete before making a purchase – then flip them for good money. I advise buying and reselling Halloween products for profits as an additional pick to any other one on this list. The reason for that is because this celebration comes only once in a year, so you won’t be able to keep the income flow steady. Now, the best ‘buy low and sell high’ strategy here is to get the product months before Halloween comes close at all. This will help you beat all the dynamic pricing models that might take place when the season is coming nearer. By the time Halloween comes by and marketers are marking up their prices, sell for under that. This way, you get to sell for just high enough that you rake in all the profits, and low enough that you become the preferred vendor. The headache that comes from running out of printer ink is inexplicable. This is especially true of big corporations, companies and business centers that specialize in printing services. You can get in touch with such people and set up a relationship with them. Since printer ink already has a huge mark-up, you can offer them the product for lesser pricing and enjoy their repeat business. That way, you keep making all of your steady profits in the long run. There are 100s of ways to make some passive income, and you can do many of them from home. We have compiled a list of trusted and tested options here. You want to know why this works? Well, probably because a lot of your friends and relatives have pets already. Want to know another reason why? There are a lot more people online looking for various pet accessories, supplies and goods for their beloved friends. Before you get anything, though, do your due diligence and make sure it’s perfectly safe and healthy for the pets. You don’t want to be tagged as the person that made something bad happen to someone else’s pet. Do you know the number of babies that are born every day? It is also good to know that baby products are not usually sold in singles but as a bunch. That would thus do you a lot of good when you stack up a good catalogue of these products. Everything ranging from baby wears to toys and other devices (walkers, seats, et al) will sell well in this category. Not everyone wants these fancy pieces of tech that we lug around these days. Some people just want to have something that handles their business, is functional enough to run their schedules and no more. Look around for these phones (you can find them on Craigslist) and see if there is some profit in there for you. Many people are basically tired with all the chemical-based products that they have in their health and beauty care line-up. Even if they didn’t know it before, you could educate them on the adverse effects of these. Since they can’t throw out their products and rely on nothing, you present them with a worthy solution – essential oils. There is a lot of information on the internet that tells you what to do with each and every essential oil. That will help you come off as very knowledgeable on the subject when you are offering different products to people. Make sure you pack a wide range of these oils to treat different cases so that your customers have a pick of their needs. With repeat buyers and bulk purchases common in this industry, you will be on your way to the banks – with smiles, no doubt – in little time. 31 Passive income ideas to make you money on the side without having to quit your day job. Homes are not just living spaces anymore. They are now spaces that tell a lot about the people living there. It is for that reason that many people are looking for different ways to make their space even more special. This is in your favor, now that you can tap into the home decorating niche make some good money. Look for products that can either work as a standalone or in series. Look for different styles too and diverse themes. Let people see how this can work for them and you can be on your way to a massive set sale. There are a lot of eBay stores where you can get sunglasses for a ridiculous price – and you won’t even have to sacrifice too much on the quality. You would be getting an even better deal when you decide to buy those sunglasses as wholesale, rather than retail, purchases. Get different sunglasses for men and women and resell them at a good price. Enjoy all the high profits from Real Estate investing today. Roofstock lets you access properties from anywhere and start with as low as a 20% down payment. If they are affordable enough (with a good profit margin for you, that is), you will be getting repeat buyers and recommendations in no time. I would recommend that you know a good deal about music instruments before you go into this. If you don’t, you might have to partner up with someone who does. That said, get old and used musical instruments, then polish them up. Make sure they have been tuned and brought back to shape before offering them. You don’t need to be a wine enthusiast to know that these things can sell for a huge profit, if you know what you’re doing. There are two ways to flipping wine for profit – the short term and the long term. If you are ready to store some good wine for decades, you could flip a $100 bottle for thousands of dollars, if not more. It works in the short run too. Just find a great wine distillery and order very good wine from them. Supply the classy, elite and even restaurants. You have no idea how much money you are going to be sitting on in a while. Have you been told that the DVD era is dead? Well, many of those retailers making hundreds and thousands of dollars in profits have also been told the same thing. The industry might not be where it used to be, but it is surely not dead. Get some great DVD releases and list them for sale. DVDs will sell well in regions where internet connectivity is a privilege, the cost of data is high and/ or streaming platforms (such as Netflix) does not provide a lot of options/ access at all. Your market will be better supported in the fact that DVDs now come in very high tech – as high as 4K video resolution, if you ask. Wonder what such specs will do for your pricing! The hip and classy society will always find appeal in items like cocktail shakers, tumblers, ice buckets and other barware sets. It would do you a lot of good if you could get special variants of these products so that your customers get to make a statement with their purchase. The choice of market that these products appeal too also make it possible for you to place a good mark-up on the products. As a bonus point, you would be able to sell retro barware sets for even much more than the conventional ones. You might not always stock these, but make sure they feature in your catalog. Lingerie are yet another line of product that can fit the buy low and sell high strategy. Not everyone has the pockets to go shopping at Victoria’s Secret all the time, so that could be you secret to making money (all pun intended). Since lingerie remains one of the most sought-after products in the world, you have a ready market and more to come. To get started, you can find a copycat manufacturer who makes really good stuff. No one checks the brand on lingerie anyways. Afterall, they are meant to be worn underneath your main garments. As an alternative, you could also buy from top manufacturers who you can sell their products for a profit anyways. There are two main ways you can buy these for lower prices and sell them for a premium. The first is to get them before a concert starts and sell them before or at the concert. This works because people know that the shirts won’t be printed after the concert is over – so they either get it now or never. Speaking of now or never, you can make good money off used concert tees too. Given the same premise of the shirts going out of production after the show is over, you can just get from people who have and sell to those who need it. Finally, if you could lay your hands on some vintage concert tees, you would be in for some good profit. It helps more if the band was a popular one that is now not playing anymore. Grocery shopping just got better with Ibotta. Get instant cashback when you shop at scores of supported stores. Of course, this is better for those that have a good amount of money to invest into this buying and selling business. Why it makes sense it that it costs practically nothing to fix up a trailer, and that cost multiples in profits. All you have to do to make a trailer worth looking at again is paint the body, change the tires, fix new side panels and add lights where need be. Your trailer will be looking as great as Optimus Prime (maybe not as great), and you would be getting good value for it. I know I don’t speak for all women when I say this, but I also know a lot of them love shopping for the next best thing to suit their wardrobe. If you have ever seen a woman shop, too, they tend to do so in bulk. Afterall, who doesn’t like to get those beautiful pair of jeans with that top which looks like it was made for it? Don’t forget the scarves that makes the eyes pop on this combination and quite possibly, those pair of irresistible shoes? See where I’m going? That’s why you should stock up on these items. Unless you have an established market, it wouldn’t do you much good to stock up on seasonal fashion lines. They always go out of season too fast and you might be stuck with them if you haven’t had a chance to sell yet. These are items that naturally sell for a higher price. However, you can get them at lower prices when people are moving, cleaning out their basements or hosting a yard sale. Make sure you run tests on each and every item before buying. Clean the tools up nice and apply grease where need be. Repackage them if you can and sell it to another power user. If you are familiar with power tools, you would be able to sell them better – and you’ll already know how much you can make from these items. This is yet another booming niche, and there is no reason for you not to get into it too. The fact that you can wear the same piece of clothing to support your athletic and leisure lifestyle is pleasing to a lot of people. To get the best out of the market and flip your items faster, I will recommend investing in leggings. Of course, that is no hard and fast rule. If you can flip other items, go for them as well. Just make sure you have a ready market before you invest in anything. The reason why I didn’t elaborate up there’s that nearly any material made out of cashmere will sell. Be it scarves, sweaters or cardigans, the cashmere market is always moving. This market is so great, many crafters will upcycle the used items into new ones and still make a good profit from them. If you haven’t stated buying some cashmere to flip, this might be the time to get in on that market. Canning jars used to be just for what their name implied – canning. Over the years, though, products from Mason, Ball and Atlas have assumed another role – decoration. If you can find the unusually large ones with blue and green colors, you don’t know how much you are sitting on. Get those ones that still have an intact zinc or glass lid, and your premium profits just went up again. If you know anyone that has these, you can buy from them at a lower price, clean them out and resell. You can even put out a local ad to collect the ones in your locality for a meagre price and resell for a premium. You must have also heard that the TV is dead. Walk into any home and see if they don’t have a TV. The fact remains that, no matter how much other screens and tech come to the fore, TVs will still be here. That explains why top brands (like Samsung, LG and the likes) keep investing in better tech for TVs every year. What am I saying, in essence? Get into the TV industry. Now, unless you want to pursue this on an extensive scale, starting a TV resale business might involve some hard work. To enjoy the TV niche nonetheless, consider selling TV accessories. This category contains items such as TV mounts, cords, adapters, etc. That took some getting through, but there you have it: all 55 of the best things to buy and resell for profit. The list has been made to accommodate options that could be sold either online, offline or with both models. It is up to you to determine which of these better suits your style. More than that, you get to choose which of the listed items will sell the best in your area. No one said you have to stick with one though. Pick the options you are interested in and go with them. The more, the better for you. See you on the other end of the buying and reselling line!